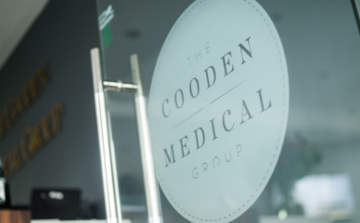 The Cooden Medical Group is a private medical clinic based in Bexhill and Canterbury offering medical consultations and a wide range of surgical and non-surgical procedures for varicose veins. 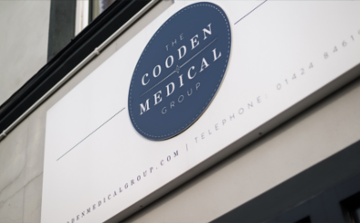 The Cooden Medical Group is a private medical clinic based in Bexhill, East Sussex offering medical consultations and a wide range of surgical and non-surgical procedures, from vein treatments through to aesthetics. Cooden Veins offers a range of non-surgical treatments to relieve pain and unsightly concerns. Cooden Aesthetics for non-invasive cosmetic treatments for anti-ageing and skin concerns. Cooden Medical Group offers treatments for skin problems, including eczema, rosacea and acne. Cooden Gynaecology is run by one of East Sussex's leading consultant gynaecologists. The Cooden Canterbury clinic is a specialist veins clinic, located at All Health Matters. The Cooden Clinic is located at Bexhill, East sussex and offers aesthetics, consulting and veins treatments. The Cooden Medical Group put on regular open days and evenings for veins, gynaecology and aesthetics. We appreciate your contact. We try to respond as soon as possible, so one of our Customer Service colleagues will get back to you within a few hours. Have a great day ahead!